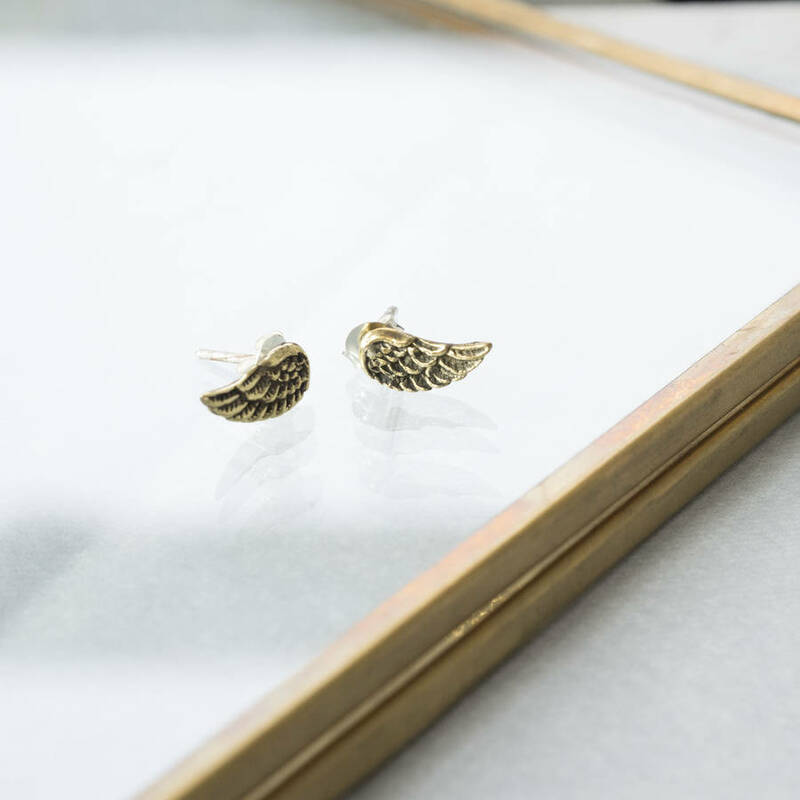 A beautiful pair of wing earrings, perfect for any occasion. 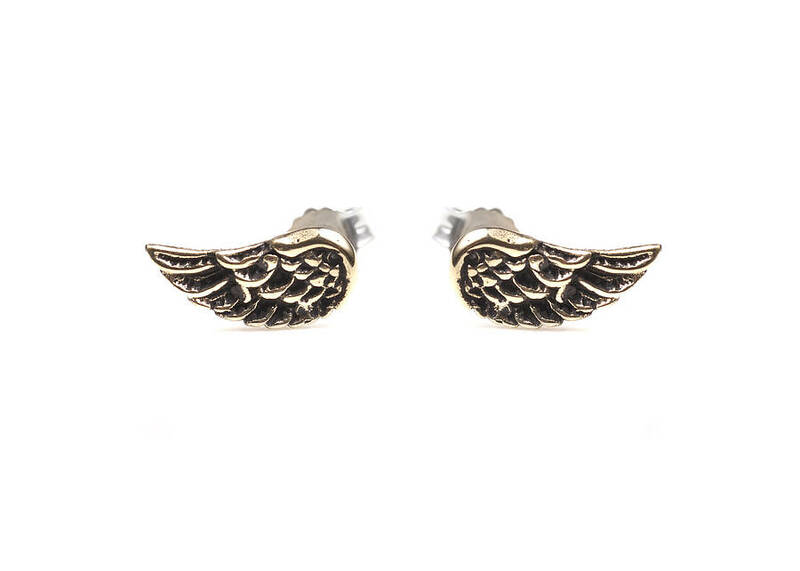 These little wing studs can easily be worn as an every day earring, they are even small enough to be allowed at school. 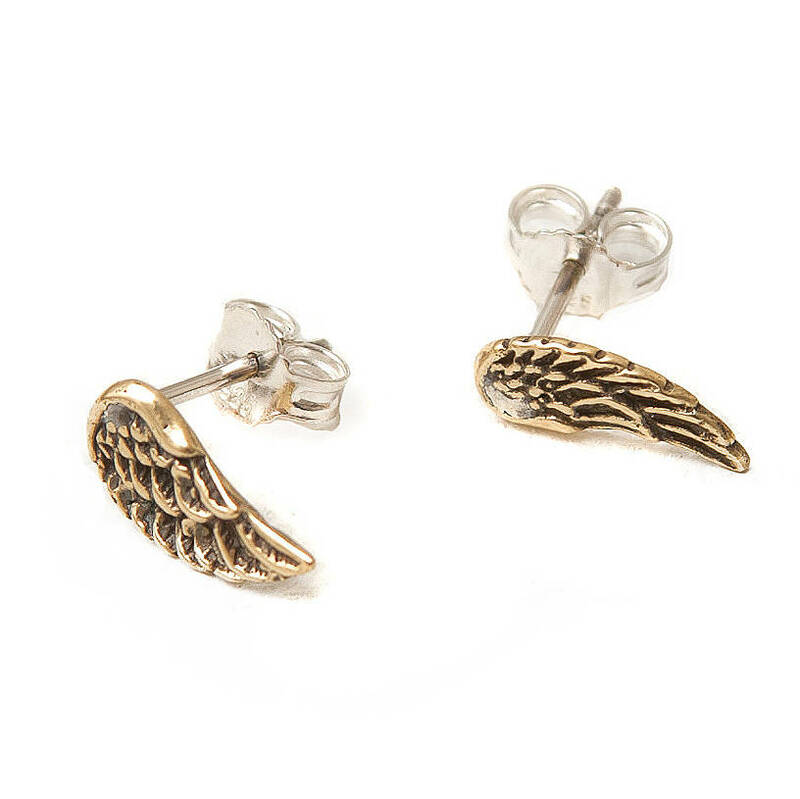 They are perfect as a teenage gift or maybe even a little treat for yourself. 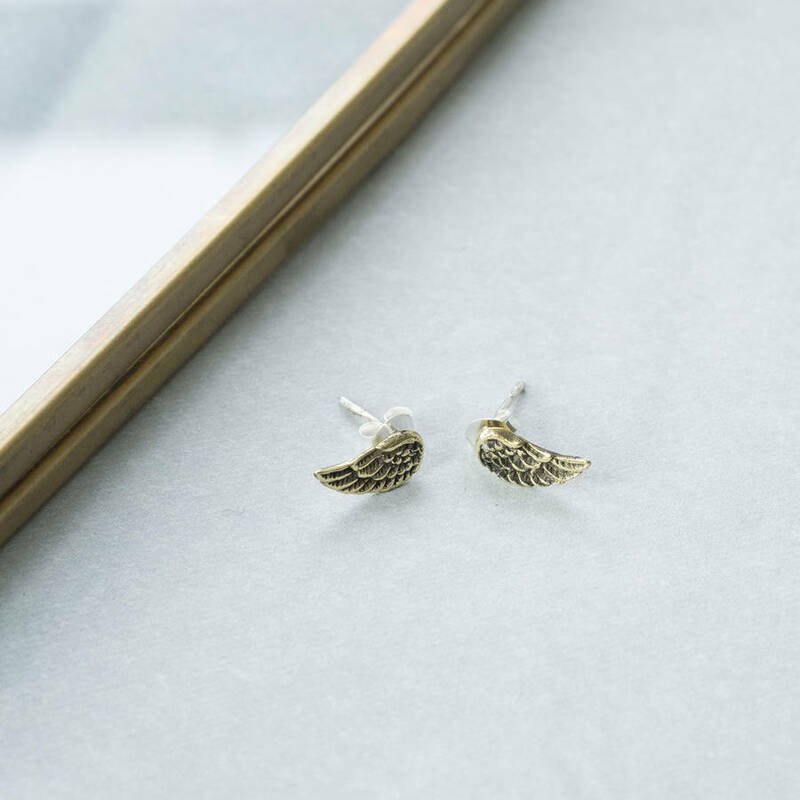 The wing itself is brass, but the back and the butterfly are both sterling silver, so there should be no problems with allergies as the part that goes through the ear is entirely sterling silver. Brass and sterling silver. The earrings can be cleaned with a silver polishing cloth. The wing measures 1cm in length by 0.6cm in width.